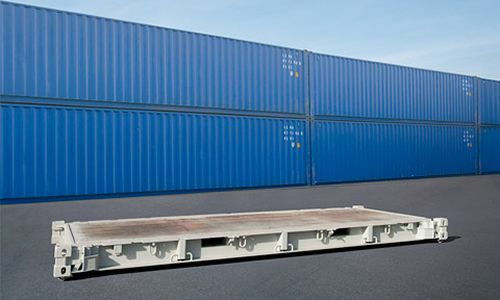 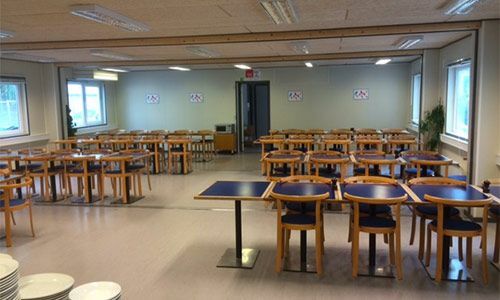 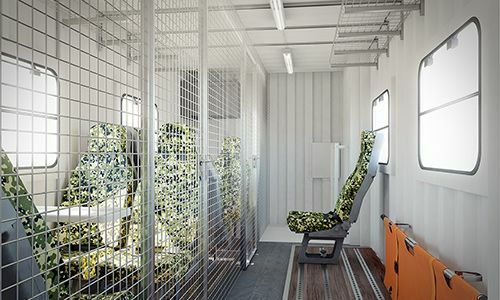 The spare parts container is furnished with high-quality tables and chairs, plus storage sections made in durable, high-quality materials. 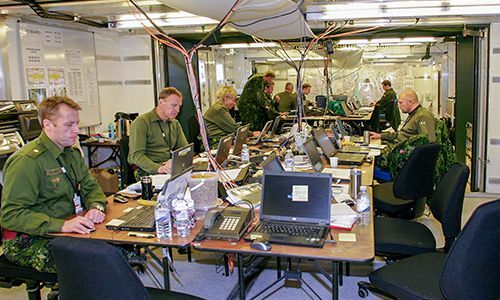 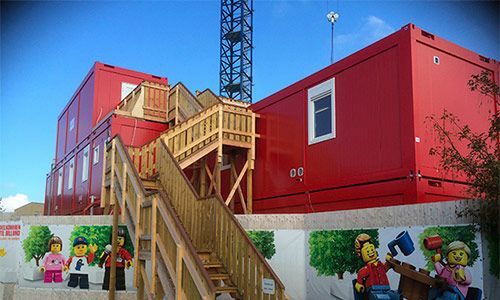 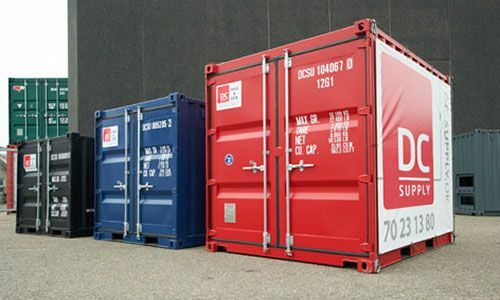 The container has interior sandwich panels made of flame-retardant material. 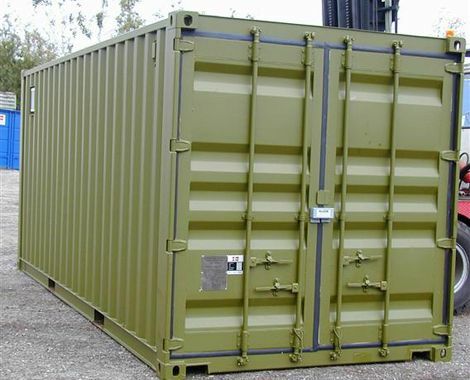 Externally, the container is connected to the electricity supply through a built-in strong steel box. 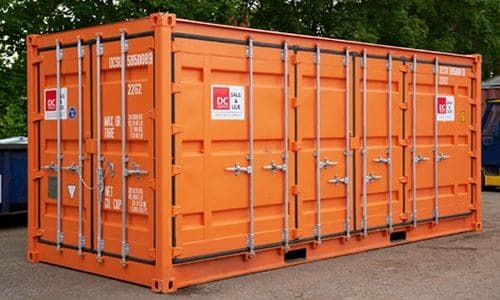 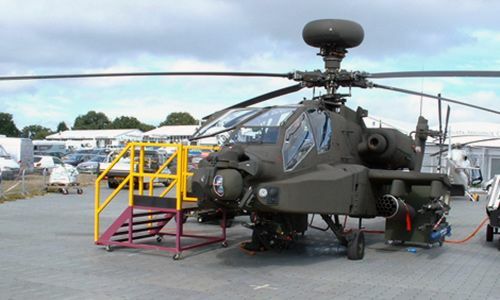 The container is designed with a bright double entrance that can be locked. 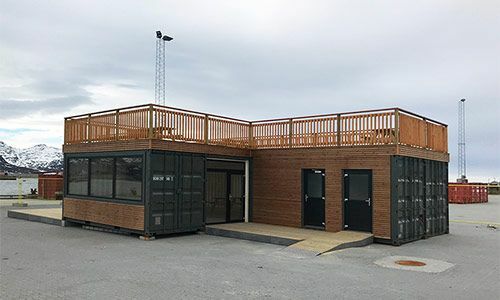 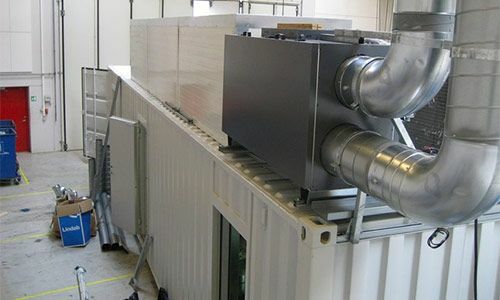 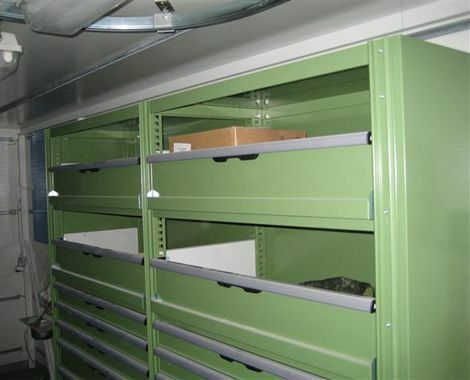 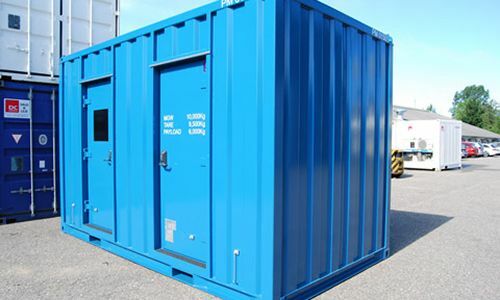 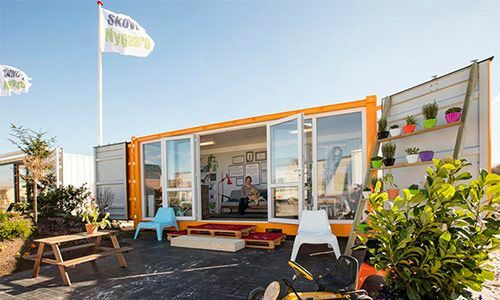 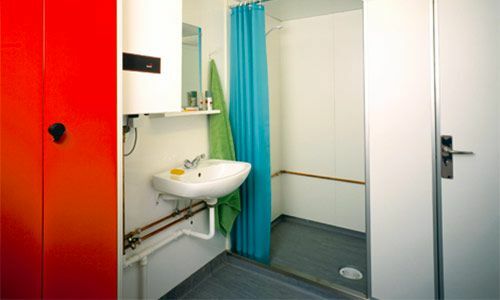 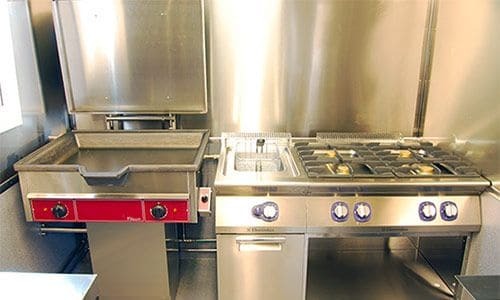 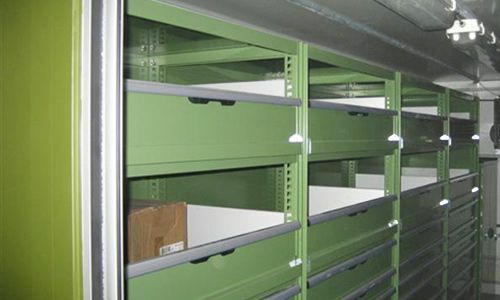 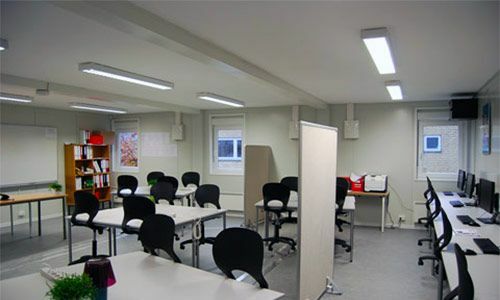 The container has a special built-in electrical panel connecting heaters, sockets, etc., and durable ceiling-mounted fluorescent lighting fixtures. 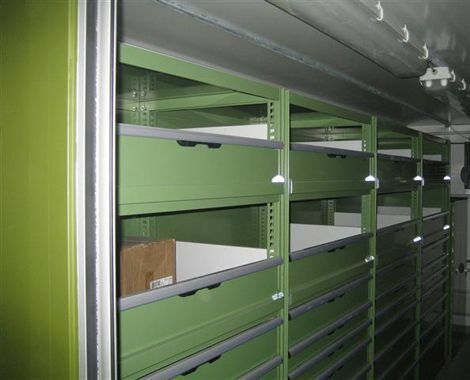 Extremely flexible and grounded rail system for fitting racks, etc.